Known for his works on paper and his landscapes of the Big Bend region, James Malone is a consummate draftsman who has worked in a variety of media and techniques over a career spanning 35 years. To create his images he uses graphite, watercolor, pen and charcoal, collage, opaque acrylic paint, wax, and thread, and even burns lines into paper using a magnifying glass. He also works with composite images of photographs. Celestial and terrestrial maps figure in many of his compositions. Malone has participated in group and solo exhibitions at the Whitney Museum of American Art, the San Francisco Museum of Modern Art, the Dallas Museum of Art, and at other museums and galleries throughout Texas. 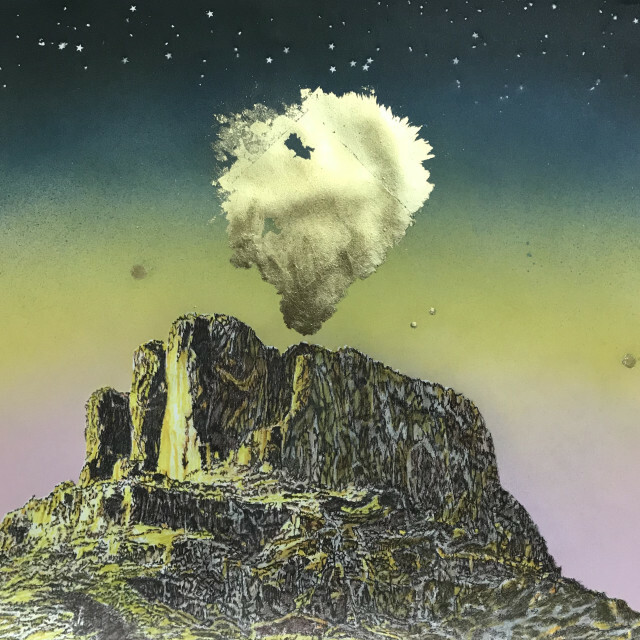 Most recently, his work was featured at the Fort Worth Community Arts Center in the solo exhibition "Cutting for Sign," in the group exhibition of Big Bend landscapes "Despoblado Update," curated by Daniel Blagg, and in "James Malone: New Ideas." Malone works intuitively in his drawings, and then looks back to find a thread of meaning, a link between imagery or ways of depicting that reveals a pattern. In this method, the work flows out of the artist instead of being forced into an analytical frame of reference.